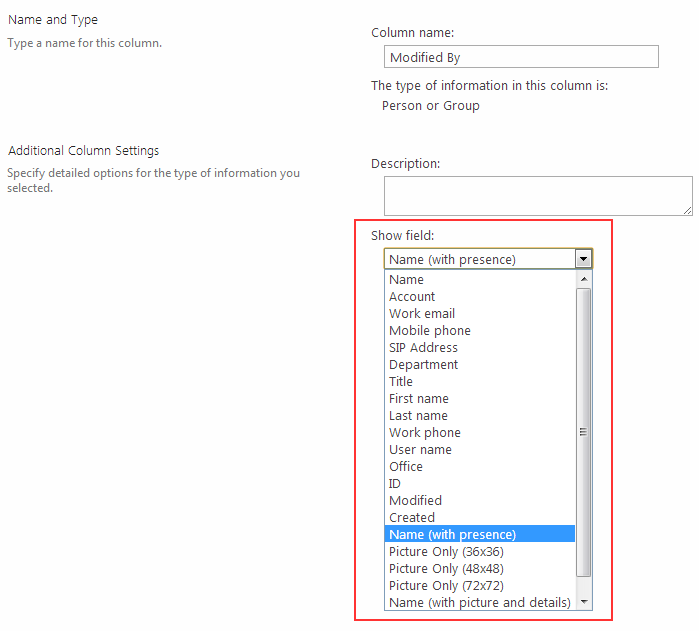 While fixing one issue I needed to change the ‘Show field’ setting for “Person or Group” type of column like Modified By column, My first thought is to use ‘ShowField’ property of a column as I seen this property exist in <Field XML. Bellow image shows the “show field” option on Edit column page. I tried multiple option with ‘ShowField’ but no luck and the property was not changing, then after debugging the issue I found that we need to use column’s “LookupField” property to change the setting like following. Hope this will help someone from developer community.